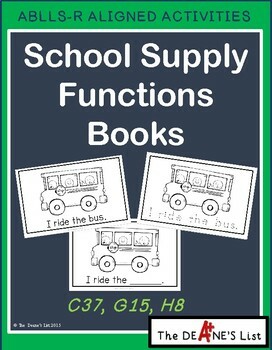 This simple book is a great way to teach the functions of school supplies. Twenty-six different school supplies or activities are included. This product contains three versions of the book for easy differentiation. The first version is contains regular text. 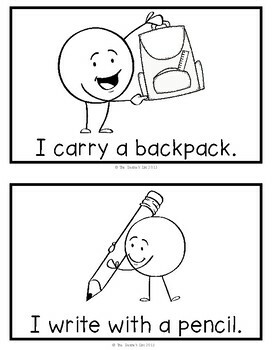 The second is a tracing version. The third one is written in a fill-in the blank format so students can complete the sentences by naming the item related to each function. 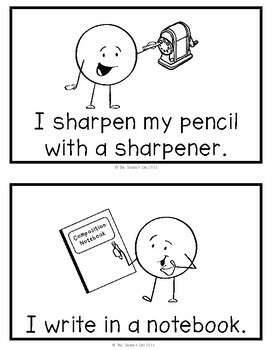 Students can write in the name of the item or cut and paste the name using the labels provided.